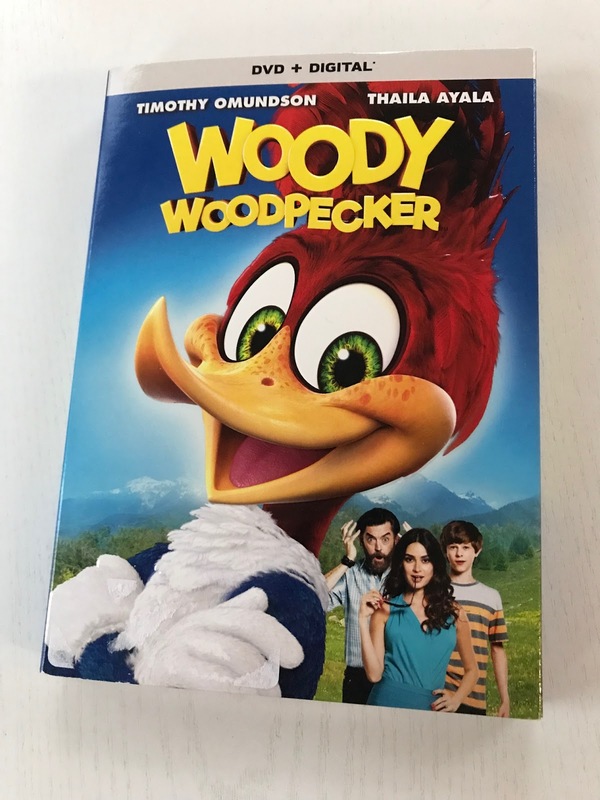 I was expecting this movie to be a cartoon, but I was pleasantly surprised to see that it features real human characters and an ever present animated Woody Woodpecker. Woody is in constant motion with crazy, outlandish antics causing trouble and avoiding two guys who are paid to get rid of him. The movie centers around a high powered lawyer, his young girlfriend and his son. They leave Seattle for a beautiful forest/lake view piece of property that he inherits from his grandfather and originally intends to build a Mcmansion and flip it. Woody does everything possible to sabotage this plan. As the summer progresses, the son who had a very poor relationship with his Dad, joins a local band, befriends Woody and ultimately tries to save Woody. All ends well of course as the basic plot includes that the son reconciles with his Dad, the young girlfriend takes off, a smaller house is built and they make peace with Woody. The movie is good family fare. I think it is an appropriate movie for ages 6 and up. It will probably be enjoyed most by the 6 – 14 year old set. 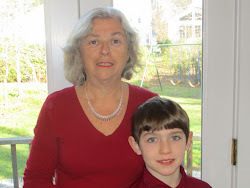 There is two much fast action mischief for very young children and the storyline is too predictable for older kids. 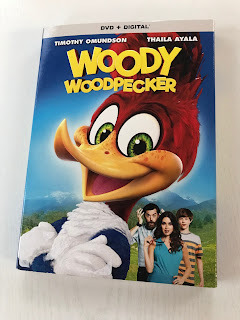 Adult fans of Woody Woodpecker may also enjoy this movie. Woody has the same classic trademark laugh and his quick outrageous antics provide lots of laughs if you can get past the destruction he piles up in seconds. Several versions of the movie are available. This review is my honest opinion and I was not paid for this review. I received a copy for review that included the DVD and Digital versions. It can be purchased at Amazon by clicking the icon below.